Here we are at last. It was quite a journey but my very first comic book outing has been finally completed. 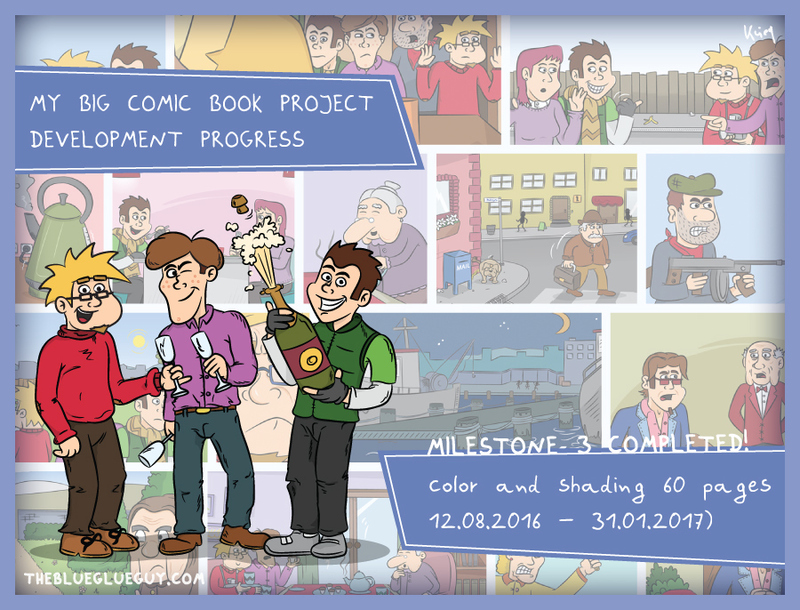 The coloring and shading process is done so are the last refinements and amendments. I’m very proud and satisfied I actually managed to endure for so long. The next step is to create a proper pdf version and get in contact with printing companies. In the meantime I thought it would be fun to add some bonus content like artwork or commentary as a little goodie. I’m so close in holding the comic in my actual hands and fulfill one of my oldest childhood dreams, as well as cross one line off my bucket list. Nevertheless I will upload my comic on this website as well, most likely in a biweekly fashion in-between the regular webcomics. This will happen once this project is 100% completed and I can focus more on this web comic; perhaps even start doing some advertisement around the interwebs.